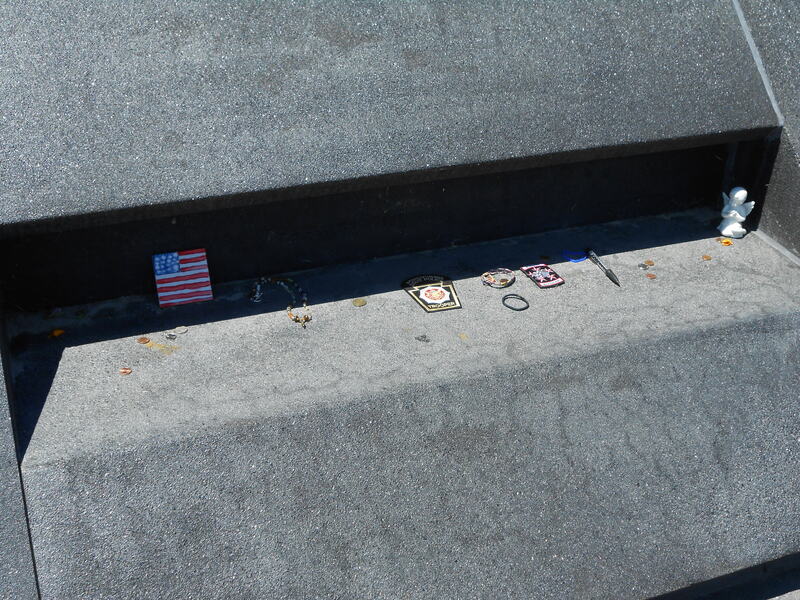 only federal property that "remembers" what happened that fateful day. crew and passengers regain control of the aircraft. 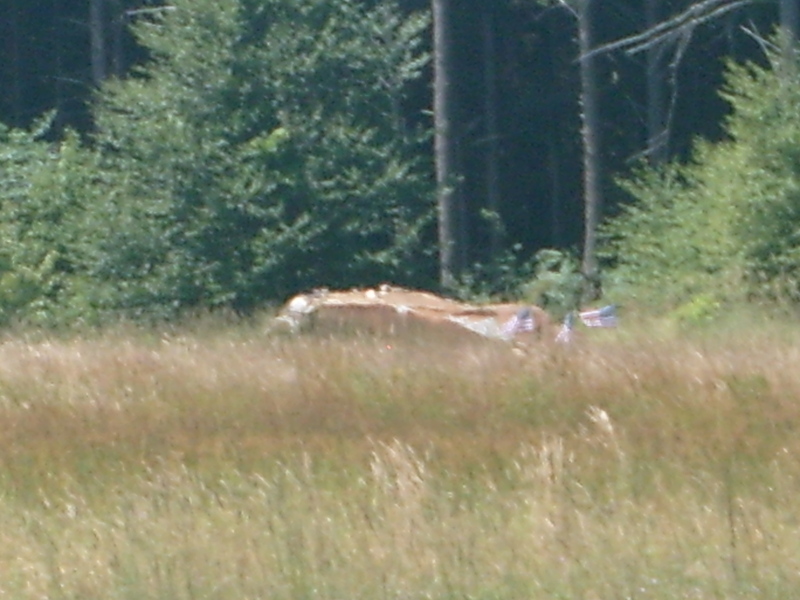 Boulder marks the crash site for Flight 93.
fireball that rose higher than the hemlock trees surrounding the area. tourists and where the human remains rest. 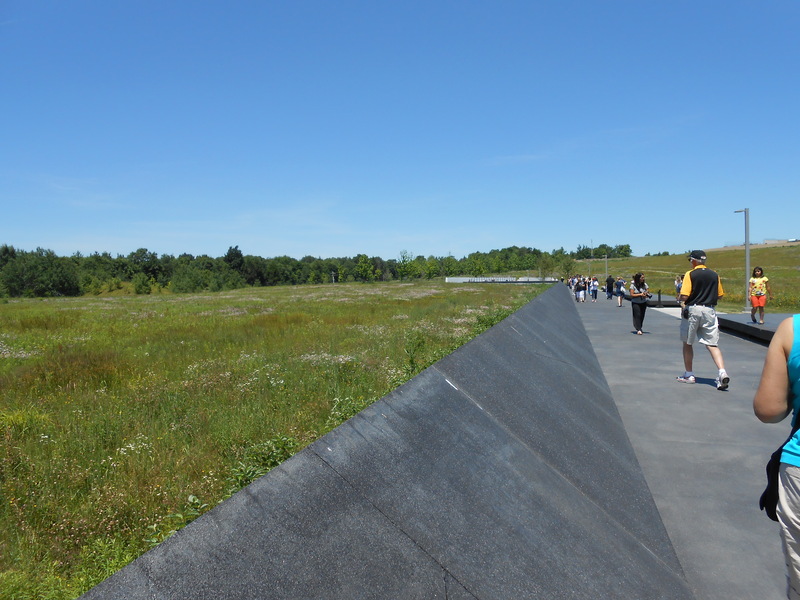 Sloping edge of the black concrete wall marks the northern edge of the crash site and debris field. 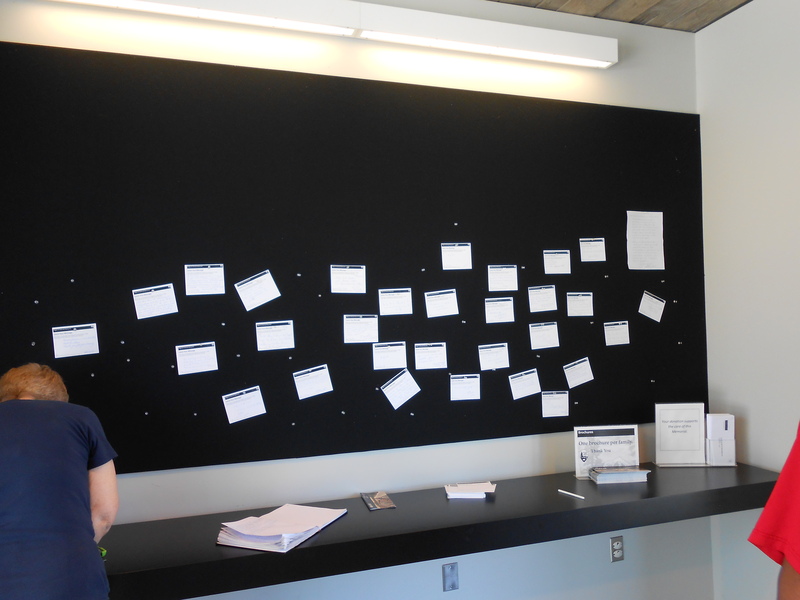 expressions of gratitude at the Memorial Plaza. 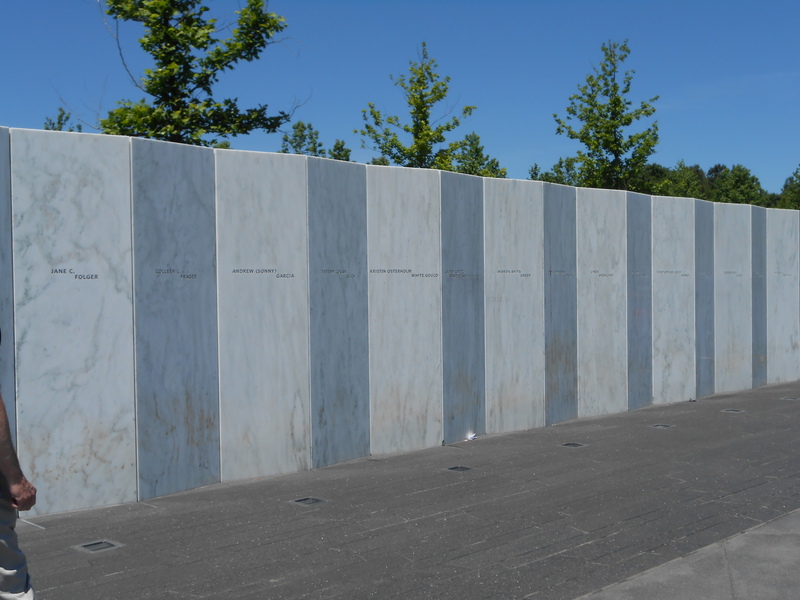 that struck me when I visited the Wall of Names was how somber it was. 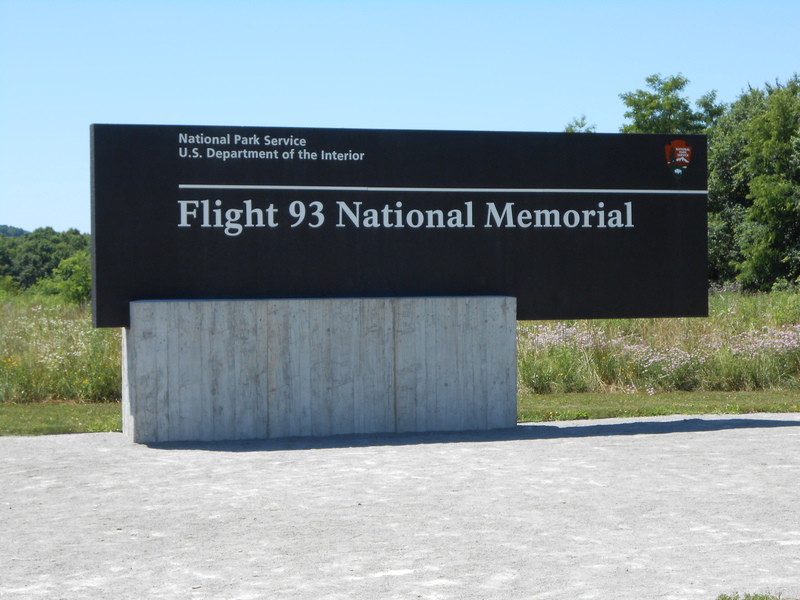 At the site, several wayside signs provide information on the flight and what happened that fateful day. 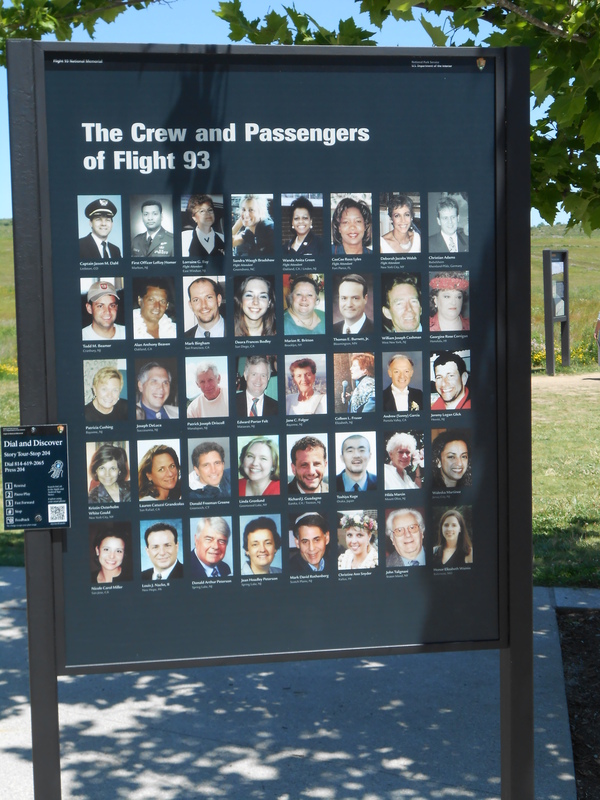 One of the wayside signs, with photos of the crew and passengers of Flight 93.
that morning), then I support their interpretive focus. their lives that day or just write your thoughts about the site. the White House on 9/11/2001. We all sit in God's classroom. We're here to learn, and we're learning whether we realize it or not! All of our experiences, all of our adventures, disappointments, joys and grievances... they're all lessons. Sometimes they whisper in our ears, sometimes they shout in our faces - the message is there. Do you hear it? Are you listening? 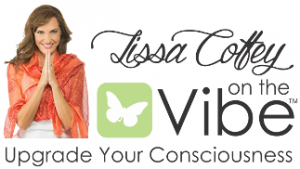 It's time to stop "throwing spitballs" and pay attention! God Is.